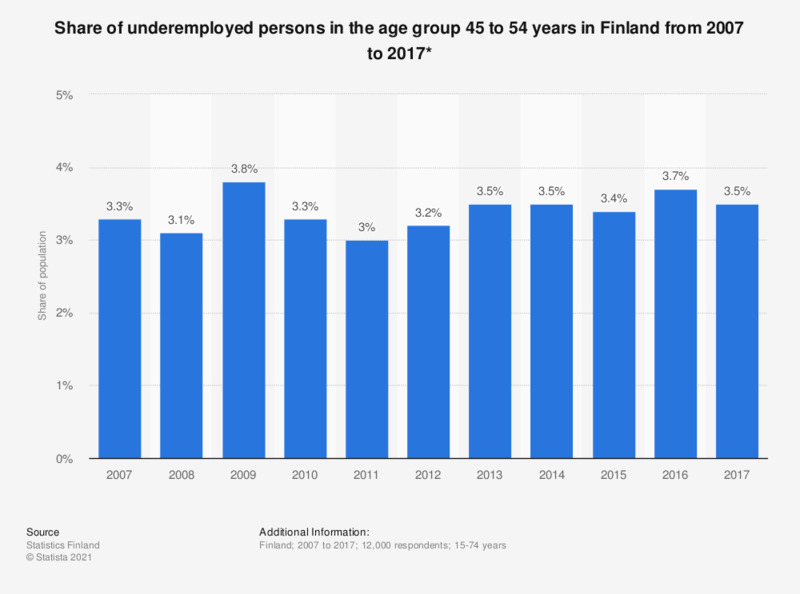 This statistic shows the share of underemployed persons in the age group 45 to 54 years in Finland from 2007 to 2017. The share of underemployed persons aged between 45 and 54 years old peaked in 2009 at 3.8 percent. In 2017, the figure amounted to 3.5 percent.